Attorney General Kamala Harris says a $1 billion project to expand and modernize the Chevron refinery in Richmond may pose health and safety risks to the nearby community. In a ten-page letter (below) addressed to Richmond’s planning department, Harris called Chevron’s safety analysis “incomplete” and said the project may increase air pollution in a community with some of the Bay Area’s highest rates of asthma-related hospitalizations. Harris says the project could also increase the likelihood of accidents, such as the August 2012 fire that sent 15,000 Richmond residents to local hospitals, many with respiratory complaints. Harris's letter asks whether expanding operations at the refinery runs counter to the state’s broader goals of slowing climate change. Responding to Harris's letter, Chevron spokeswoman Melissa Ritchie said the revised project would result in a “newer, safer, cleaner refinery,” that upgrades old equipment, while bringing 1,000 new local construction jobs to a community with a nearly 12 percent unemployment rate, three points above the state average. The final environmental impact report for the project was released on Monday. This is the second time a state attorney general has weighed in on Chevron’s plans for the Richmond facility. In 2007, when the refinery first proposed expanding its operations, then-Attorney General Jerry Brown hired a chemist to evaluate the oil company’s plans. Brown's office issued several letters saying that the project would be harmful to the environment. 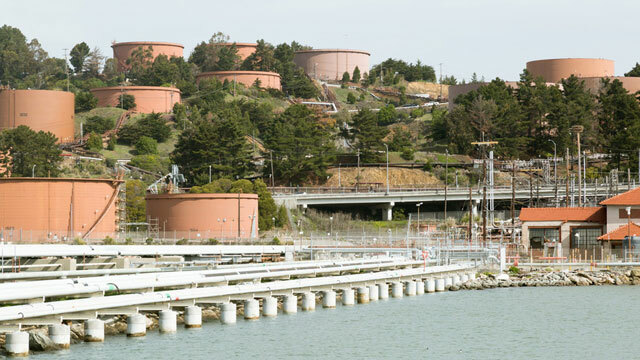 Chevron's plans were scuttled in 2010, when a county Superior Court found that the company had failed to disclose whether it intended to process heavier crude oils and inadequately explored whether the project would increase air pollution. The company’s revised plans have been scaled back, according to the company. The Attorney General’s concerns “have either already been addressed in the draft EIR [environmental impact report] or will be addressed in the final EIR,” said Ritchie, in an email. Environmentalists, led by Oakland-based Communities for a Better Environment, are working from several angles to change the course of the project. Last week, the group sued air-quality regulators over a construction permit, released in 2008, which they allege should have been revoked when the initial plans were withdrawn under court order. Here's Friday's letter from the Attorney General.